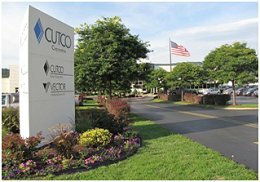 The Cutco KA-BAR Visitors Center on 1040 East State Street in Olean, New York, showcases the growth of CUTCO and Vector Marketing Corporation – the exclusive marketer of CUTCO – and portrays the rich heritage of KA-BAR knives. Guests will learn how products are made and sold. 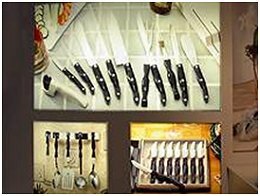 Displays include antique kitchen cutlery, military and pocket knives, as well as historical photographs and documents. Saturday hours are 10 a.m. to 4 p.m.
Groups welcome with advance reservations.